My first reaction on seeing the result was to think, “That’s right on the mark.” Almost immediately, it occurred to me that the result appeared to be right on the mark because it was based on my own answers to 177 questions. The assessment was not administered by an objective, qualified third party. How could the result not appear to be right on the mark from my perspective? It could only affirm my own self-image. It occurs to me the only possible result of any such assessment must be to affirm the respondent’s self-image. A simple computer program matches the answers with scores associated with each of the possible “strengths” in Rath’s model. That’s all. The respondent answers the questions based on his/her own self-image. Naturally, the program spews out some boilerplate text that reflects the same image of the respondent. The descriptions of the five strengths are presented in very general language. 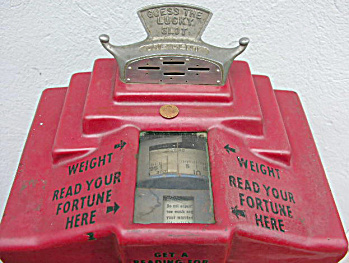 I was reminded of horoscopes, fortune cookies, and those old-time penny fortune scales. Anyone reading them may well feel as if the descriptions apply to them. But there’s a bit more science to it than that, isn’t there? Or maybe the truth is that there was a bit more science to old-time penny fortune scales than we might assume. At any rate, when Gallup is involved, it costs you more than a penny to get your fortune. Is it worth it? If you keep waiting for things to happen, Cancer, you may wake up one morning and realize that your life has passed and you never did half the things you dreamed of doing. The time to take action is now. Put your plan into effect. You may need to make some compromises, but you will find that, in general, people will follow your lead. Well, whaddayaknow? It’s right on the mark! If you are feeling stressed and doing too much for others, think about what can be cut out. You do not have to be responsible for people who will not change destructive behavior. A small gesture of encouragement toward someone you admire can open doors of friendship and deeper affection. Also right on the mark. Isn’t science amazing? The generic answers reminded me of an old artificial intelligence experiment at MIT. In 1965 a team at MIT created a command-line program called ELIZA, described in Early Artificial Intelligence Projects (.doc), that attempted to carry out a conversation with a human being by recognizing certain keywords in the human’s input and constructing questions and statements in response. eliza: Why aren’t you so sure? vp: Is there any reason why I can’t use the computer now? The VP angrily read me the dialog that “we” had been having, and couldn’t get any response but laughter from me. It took a while to convince him it really was a computer. The story of ELIZA and DOCTOR gets even funnier. People started to confide in DOCTOR their deepest fears and problems. The program responded with statements very similar to those a therapist might make during a counseling session. Even when they were assured DOCTOR was just a piece of software that knew nothing about personal problems, people continued to use the program for self-therapy. They were sure the program understood them and cared about them. A later project at MIT sought to duplicate human emotional responses in a machine. The Kismet head had video and audio sensors and could respond to stimuli from its environment by changing its facial expressions and making sounds. It would show “interest” in new objects in its environment, and gradually lose “interest” as it became habituated to their presence. It would respond “emotionally” to people speaking in different tones of voice (although it was not programmed to try and understand language). The engineering and the software to support Kismet’s senses and movements were quite challenging, but the programming that mimicked human emotional responses turned out to be pretty straightforward. There were basically nine emotional responses, described here. Various stimuli elicited specific responses according to a simple set of rules. 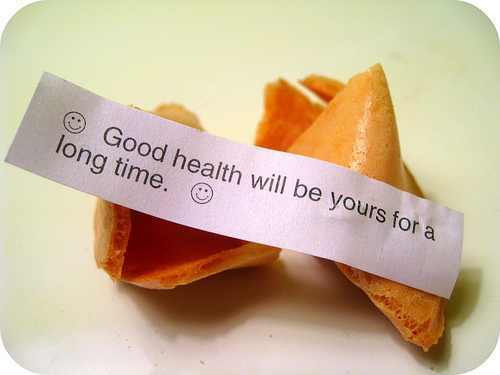 The fact that programs like DOCTOR, Kismet’s emotion system, and the StrengthsFinder assessment — not to mention fortune cookies — are able to produce credible results could mean they are based on substantial science, or it could mean that we humans are simpler and more predictable machines than we might like to believe.